Underpads are absorbent sheets used to protect surfaces, mattresses and wheelchairs against damage caused due to incontinence. Underpads can also restrict bacterial growth and eliminate odour. 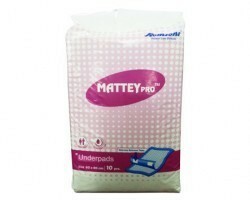 Underpads are usually disposable and are constructed of absorbent fluff material and polymer. These are tucked at the corners of a mattresses just like a regular bed sheet. Some underpads may also be equipped with adhesive tabs and backings which prevent the underpad from shifting when the patient moves. 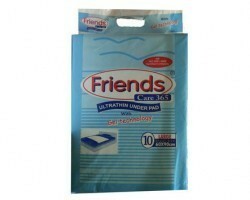 Underpads are made up of a soft material which doesn’t irritate the skin and wicks moisture away from the body. Some underpads also have Super absorbent poly beads (SAP) which absorbs the fluid and converts them into gel. Underpads are usually made up of several layers. A soft topmost layer which comes in contact with the body, an absorbent middle layer and a waterproof plastic bottom layer. 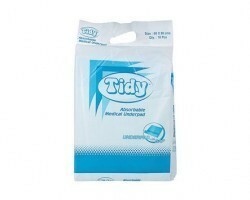 Underpads are available with various levels of absorbency. The thickness of the underpad generally increases with absorbing capacity of the underpad. There are various sizes of underpads available and can be bought according to where the underpad has to be laid. The most common sizes are 60cm x 90cm and 60cm x 60cm. Underpads are used in hospitals and nursings homes but can also be used by people who have incontinence and for baby cribs at home. 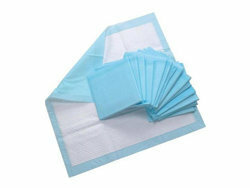 Smart Medical Buyer has superior sourcing for Underpads. Smart Medical Buyer has a wide product portfolio of Underpads to choose from. 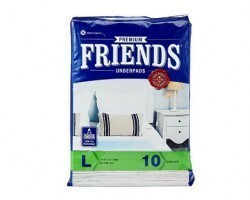 These underpads have different specifications and features for different needs. These products are available in a range of sizes and absorbing capacities on one platform for you to compare and choose from. The easy search and ordering process as well as guaranteed same day dispatch ensures a smooth and seamless shopping experience. 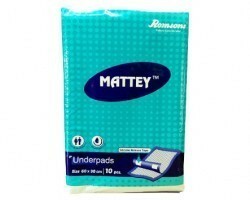 Smart medical buyer’s range of Underpads includes those from trusted brands like Romsons Mattey, and Bellcross.